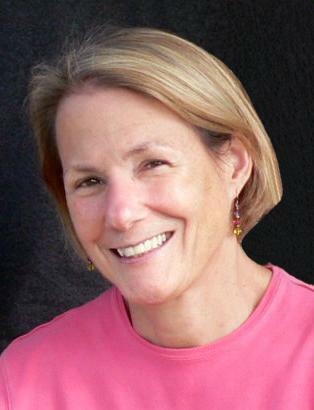 Pam Wells, 60, died after she was hit by a motorist while riding her bicycle in New Hampshire. The night before she died, Pam Wells prepared an eggplant dish for her family to heat the next day while she rode her bicycle 100 miles. Having never attempted the distance, she was a little nervous as she worked in her kitchen, but her concerns might appear misplaced to any who knew her well. When May interviewed Ms. Wells for the job, he joined a line of those who responded with a series of double takes as they learned more about a life journey so full and varied that the straightforward paths many take seemed tame by comparison. She was probably the only key financial officer for a major symphony who previously had been a construction company project manager. And most likely she was one of few construction managers who majored in piano in college. Outside of her kitchen window were expansive gardens she shaped in ways professional landscapers would envy. At 60, she was in the toned physical condition someone half her age might emulate. And she spent those final nighttime hours in a kitchen she and her husband were about to remodel to add a bookcase to hold the many volumes she pored over while creating inventive meals, yet another talent. Ms. Wells, who lived in South Hamilton, was bicycling with friends Sept. 21 in the Tri-State Seacoast Century ride when, according to police, a car struck the group, killing her and Elise Bouchard of Danvers. “Upon first encounter, Pam always immediately impressed with her quiet refinement and her beautiful sweet smile and pleasant demeanor,” Martha Babcock, the BSO’s associate principal cellist, wrote in a tribute to Ms. Wells, who among her duties worked with musicians on the orchestra’s pension board. The oldest of four children, Pamela Ann Wells was born in Bryn Mawr, Pa., and was a child when her family moved to Sudbury. Her father was in the wool business, her mother raised the children, and Ms. Wells graduated from Lincoln-Sudbury Regional High School in 1971. Ms. Wells went to Wells College in Aurora, N.Y., in New York’s Finger Lakes region, where she studied piano performance and graduated with a bachelor’s degree in 1975. In her early 20s, she taught piano at Hebron Academy in Maine. Her first marriage, which ended in divorce, brought her to Europe, where she lived for a time and continued to teach piano. Returning to Boston, she lived in the South End and was so attentive to details during the renovation of her building that the owner of the construction company offered her a job as a project manager. During one project she met Rogers. Though she couldn’t have known it at the time, their first date was portentous for her future: They went to see the Boston Pops on the Esplanade on July 4, 1990. They married in July 1994 and moved to Hamilton a few years later, just a month before their second child was born. Ms. Wells, who previously had received a master’s in library science from Simmons College, added a master’s in business administration, also from Simmons, and passed the certified public accountant test. “One day she said to me she always thought having an MBA would be a good idea,” her husband said. She had worked for an accounting firm as a corporate librarian, but now became an auditor, and her firm’s clients included the Boston Symphony Orchestra. When she heard the BSO’s controller was leaving, she sought permission from her supervisors at PricewaterhouseCoopers to apply. In a nod to her gardening accomplishments, the symphony will dedicate a section in the gardens at Tanglewood in her memory. In addition, an anonymous donor arranged to dedicate to Ms. Wells a BSO spring concert featuring a pianist, in honor of her playing and teaching. In addition to her husband, Ms. Wells leaves her teenage children, Alex Wells Rogers and Elise Wells Rogers; her parents, Richard and Ann (Lyons), both of Williamstown; and three brothers, Kim and Peter, both of Williamstown, and Ted of Victor, Idaho. A memorial service will be held at 2 p.m. Sunday in First Church in Wenham. When Ms. Wells added bicycling to exercise routines that included regular 5 a.m. workouts, she once rode the circumference of New Hampshire’s Squam Lake while visiting friends. That led her to acquire better bikes, including an expensive Bianchi she bought in anticipation of last weekend’s 100-mile outing. She trained all summer, often with Bouchard and another friend. Clarification: Pamela Wells lived in Hamilton and was married in July 1994.